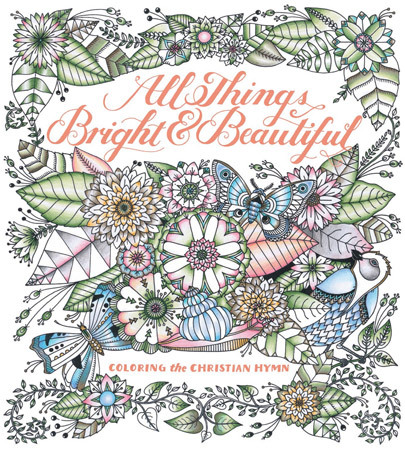 Cecil Frances Alexander's beloved hymn comes to life in this beautifully illustrated coloring book. Each line of the familiar hymn is written in a full page of lovely text and accompanied by an evocative black-and-white image to complement the words. Peaceful landscapes, delightful flowers, and charming birds and other animals grace the pages of this inspiring coloring book that celebrates God's creations. The entire family will enjoy filling the pages with glorious color while reflecting on the simple message of this timeless hymn. Paperback • 8.85" x 9.84"